And if that fact alone doesn’t make you cringe, this will: the screenplay was written by Melissa Rosenburg, most famous for the classics that are the Twilight scripts. Talk about an interesting transition. How does one go from teenage angst to head-chopping action? 1) Cast a Scotsman to play MacLeod. Maybe James McAvoy. 2) Let Ramirez be played by a Spaniard. Antonio Banderas? 3) Find a more interesting heroine than what’s-her-face. Gemma Arterton? I like surprising casting choices. 4) Have a baddie more multi-layered and less of a freak. 5) More backstory. To be honest, that’s my favourite part. It’s all them kilts. The only thing I’m certain that can’t be improved upon is the music. Who doesn’t remember the epic soundtrack Queen provided? -sigh- But maybe they can go the Daft Punk route and churn out a killer music score. 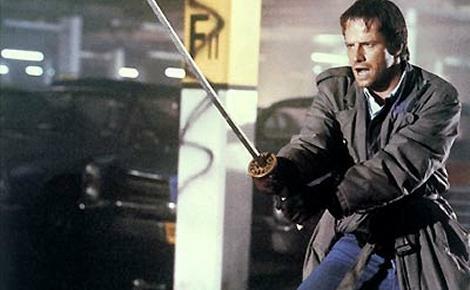 Producer Neal Moritz has promised that the new film will “stay true to the core of what we believe Highlander is.” But I’m still far from convinced. You just don’t mess with classics. Why do they even need to be remade? What’s the point? Fast Five director Justin Lin will helm the remake. Who? I have no idea. It sure as hell doesn’t sound too promising so far.